Hello. My name is Andy Foster and thank you for visiting my bio page. 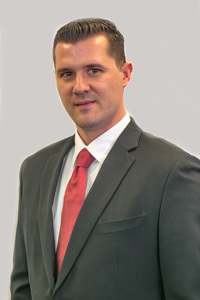 I am a loving husband, father and mortgage loan officer with over 10 years of experience. I entered this industry to assist customers like yourself in accomplishing the dream of homeownership. Becoming a homeowner is a very exciting process, however, when qualifying for a mortgage, unforeseen events can sometimes make buyers feel uneasy. This is why you need a mortgage consultant who is well-educated in the industry and also possesses the problem solving skills necessary to handle any issue that might develop. “From application to closing, I’m with you every step of the way”. This isn’t just a statement, but a strong commitment I bring to every mortgage application I receive. I take pride in working closely with my clients. I enjoy helping my customers find the right loan program to meet their financial goals. I have the knowledge and experience to assist you in making the best choice when buying a home. With in- house processing, Swan Financial gives me the tools I need to provide all of my clients with the premium service they deserve. We offer FHA, VA, Conventional and many more loan programs. WE are also partners with many different lenders which means I can and WILL beat any offer you get! If you are currently shopping for a mortgage or if you are looking to refinance, I urge you to contact me.